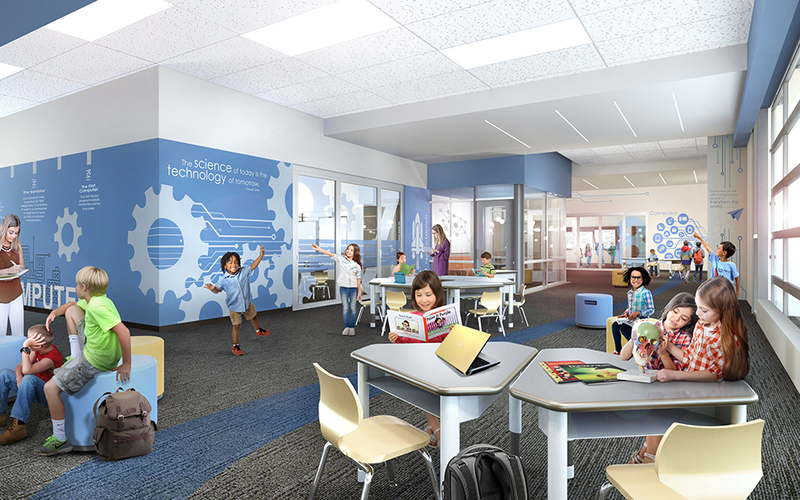 A focus on student-centered learning inspired the development of learning environments that create opportunities for students, teachers, and the school community to interact in flexible, technology-rich spaces. 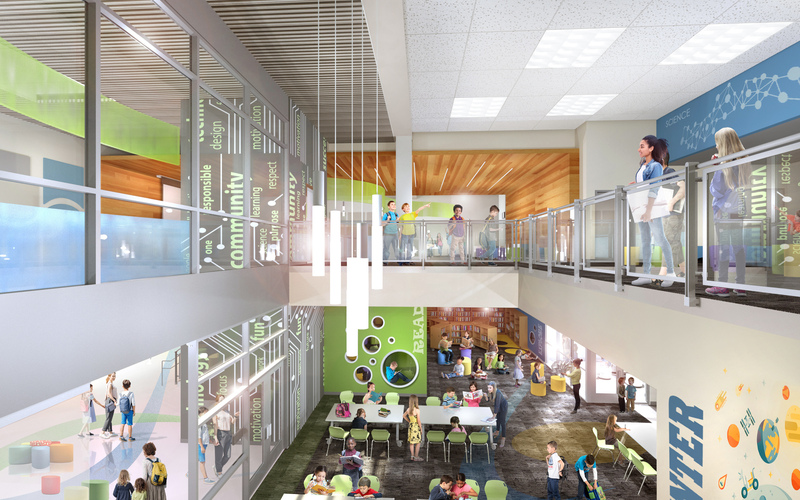 Spaces that are easily adaptable to changing populations, educational programs, and delivery of student services. These were planned to accommodate varying degrees of adaptability from daily user modifications such as operable partitions and flexible furnishings, to substantial modifications including reconfiguration of spaces. The overall building design was inspired by the physical forms of the Folsom Ranch area, where the rolling fields and pastures begin their transformation into the foothills and the mountains of the Sierra Nevada range beyond. 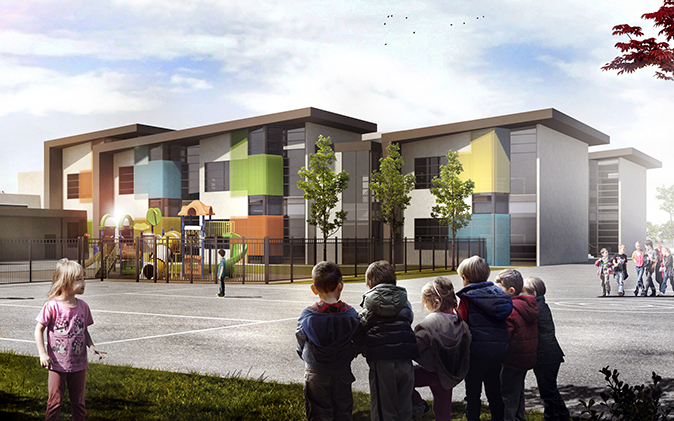 The school has been designed as a two-story, single building concept that allows for a more efficient use of the site, improved supervision and security, due to fewer exterior doors, as well as increased mechanical efficiency, due to less exterior surface area.